"Stylish Stick and Daga Carrying Bag"
Genuine Stick and Daga Bag, straight from the Philippines. This case easily holds several 28" sticks, and will hold a 34" espada with a just a little bit of impressive overhang peeking out. There are also THREE daga/dulo pockets! 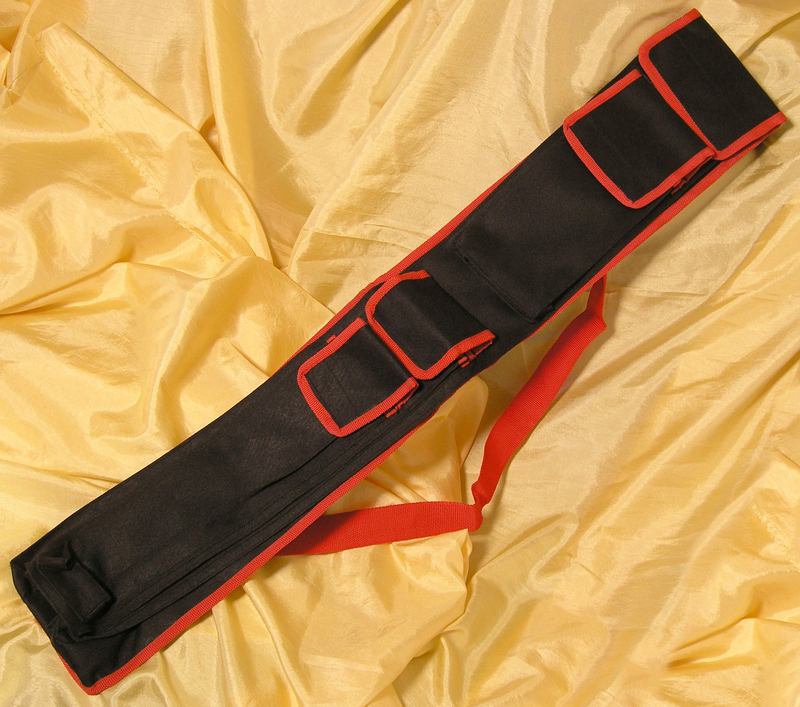 There are 3 excellent reasons to get a stick and daga bag. It keeps your sticks from rolling around in your vehicle. It gives you a more professional look - there's nothing like being the guy who walks into a gym with his gear in an old shopping bag, is there? It can reduce the instances where you are questioned or stopped by the police. Let's face it, proper storing of a weapon is a required skill in both the police and military. Walking around without proper storage sends a message of inexperienced handling to any professional observer. It also means that the weapons could be more easily seen as a threat to others, and you as potentially threatening.